HowMechanismWorks ? : What Is The Life Expectancy Of My HVAC System? When we are going to install a new heating/cooling system we are always asked the same question: “How long will it last?”. The simple answer: it depends on how well you maintain it.One thing you should keep in mind that every manufacturer makes their system slightly different than another and one part could last longer than another. For example, if a manufacturer produces systems that have poor quality compressors, then the overall life expectancy could drop significantly because compressors are sometimes more expensive to replace than the system itself. And its true that Preventative maintenance is one of the best ways to extend the life of any HVAC system.Here is a chart which outlines the average life expectancy of HVAC systems based on how much maintenance you use, national averages, and plain old estimates. Please keep in mind that these are estimates, not guarantees. Your brand could result in higher or lower life expectancies. Checking on and replacing refrigerant insulation as necessary. How many of these items you perform and how regularly you perform them makes an impact on the lifespan of your air conditioner. You can do some of the cleaning yourself, if you prefer. It's a good idea to remove twigs, leaves and other debris from the condensing unit outside on a periodic basis. Your HVAC repair team should come to the premises at least once per year to inspect the equipment and make sure it is running properly, cleaning the rest of the system for you. 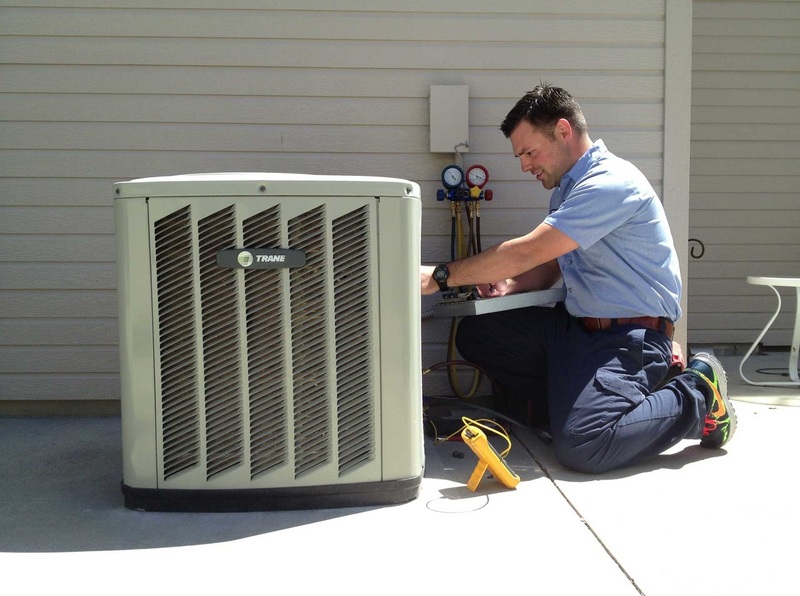 The technician will do maintenance and conduct tests to see how efficiently the system is running. If you have someone checking on the HVAC equipment periodically, you can avoid small problems becoming big headaches that will require repairs or replacement. Schedule maintenance and cleaning appointments far in advance to make sure you don't forget to do so before the weather gets too hot or cold. With so many homeowners trying to make last-minute appointments around the same time during winter and summer, you'll be glad you've already made arrangements before the crew's schedule gets completely filled. Heating and cooling technology advances exponentially year over year. That means that newer units can more effectively maintain temperatures in your building without sacrificing space. If a commercial HVAC service determines that your system is too large—or small—for your space, consider swapping it out for a newer model. This is especially true if your unit is already nearing the end of its estimated serviceable years. When a technician finds that your HVAC system needs repairs, you'll need to check your budget to see if it would be better to have it fixed or just have it replaced. If the system is a decade or more old, you will want to consider outright replacement, because the latest models are much more energy efficient. Spending money on a new system now means that you will start saving more money on your utility bills. Since you know that your HVAC system has a limited shelf life, the older it is, the more practical it becomes to swap it out for a new one rather than repairing it. Your HVAC technician will be happy to advise you on which option will be best to meet your family's particular needs.